In the early 1760s, before the appearance of Gallini’s ‘collection of cotillons or French dances’, dancing masters principally taught minuets and country dances. At that period Nicholas Hart regularly placed notices in the Public Advertiser. On 2 January 1762, he announced he was available to teach ‘Grown Persons to dance a Minuet and Country Dances, in the genteelest Manner, and with Privacy and Expedition’. He promised to impart the necessary skills speedily – ‘Country Dances … from three Hours to six Days’ and ‘A Minuet may be attained in two or three Weeks’. He did not specify how many lessons would be needed, and he was coy about his fees. 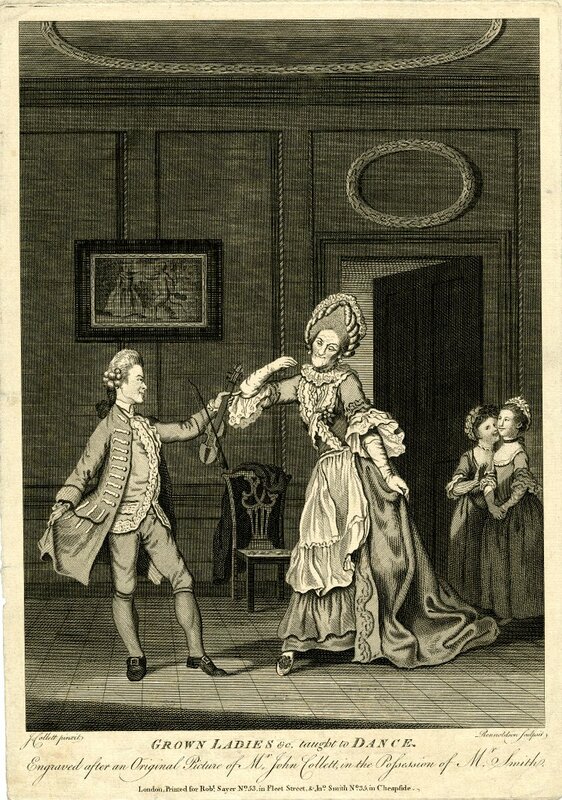 ‘The Expense of learning Address [bows, curtsies and other basics of etiquette] is One Pound Six; (in the Minuet Address is included)’, other charges ‘may be seen at large in the printed Proposals’. Hart expected his dancing school to be open for business for many hours each day. ‘Continual Attendance is given for private Instructions from Ten to Ten, And on Wednesday and Friday Evenings the Long-Room is open for general Practising, from Seven to Ten’. Dancing masters, like polite society, were subject to changes in fashion. 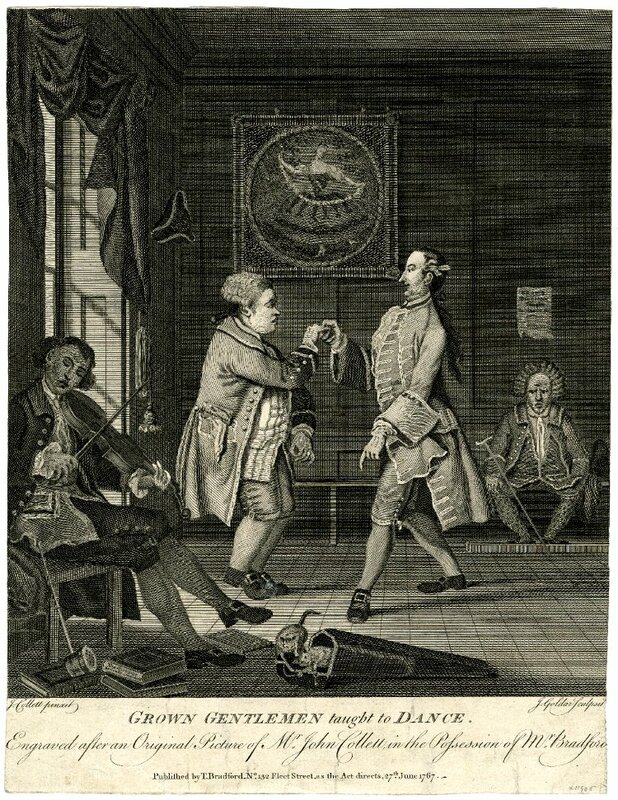 The Gazetteer and New Daily Advertiser for 6 April 1768 declared ‘Mr.Welch, dancing-master, the partner of Mr. Hart, is returned from France, where we may expect the cotilons, &c. in perfection’. In another advertisement on 2 May 1768, Welch observed that ‘the cotillons, &c. [are] an essential requisite in this nation’. On 14 June 1768, the dancing master Mr Patence advertised in the Gazetteer and New Daily Advertiser. He, too, taught ‘grown ladies or gentlemen’ a repertoire of minuets and country dances ‘in the most polite and expeditious manner’. Country dances could be learned in six hours and the minuet in twelve lessons. He also taught ‘all the rigadoon steps, and figures, for the cotillon dances’. He was equally reticent about his fees, saying only ‘For further particulars enquire’. There was obviously a numerous regular clientele, of both adults and children, who needed or wished to learn the dances performed at assemblies and balls. If one was to succeed in Georgian society, one had to be able to dance. By the late 1760s the cotillon was the dance of choice. This entry was posted in Country Dancing, Dancers & Dancing Masters, The Cotillon and tagged Baroque Dance, Cotillion on December 22, 2014 by moiragoff.